A new N7 Challenge has been announced! Will you report for duty this weekend? Allied forces have matched krogan mercs and batarians with asari justicars for unconventional warfare. Their mission: to create resistance on Reaper-occupied planets to tie down local Reapers. All N7 Forces will receive a +25% Experience Bonus for participating in Operations in any Theatre of War against any foe. Good Luck! 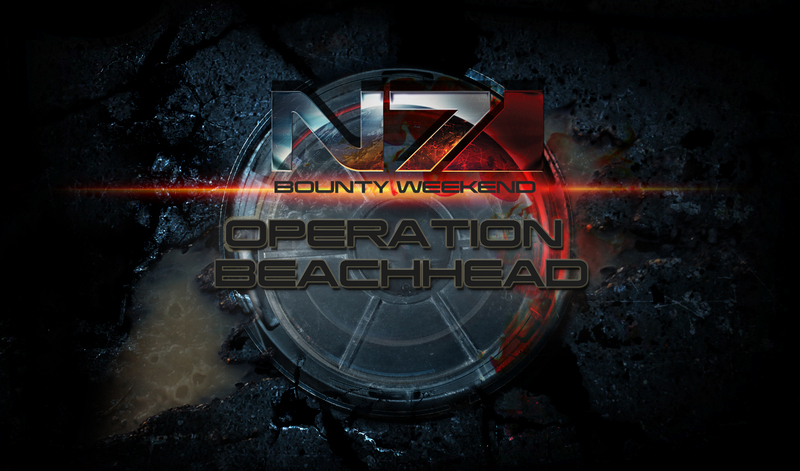 Operation Beachhead is here, the next N7 Multiplayer Weekend! Last weekend the community rallied to promote a record breaking 350,000k+ operatives in the field. This weekend Operation Beachhead will run from 6PM PST Thursday April 5th, to 5AM PST Tuesday April 10th on Xbox 360, PC, and PlayStation 3. Please remember to set “Upload Gameplay Feedback” to “on” in the online options to be able to participate in Operation Beachhead.